JNN 23 April 2013 Baghdad : The senior Iraqi Shia cleric, Grand Ayatollah Sayyed Ali Sistani, denied political leanings towards any specific candidate in the upcoming parliamentary elections in the Arab country, spokesman for the Sadr bloc has said. Speaking to the Tasnim News Agency on Sunday, Shaykh Salah al-Ubaydi, the spokesperson for al-Sadr political movement, expressed the impartiality of Grand Ayatollah Sistani in the forthcoming parliamentary elections. According to Ubaydi, Ayatollah Sistani has underlined that “he will not support any specific candidate” and has only called for “free and transparent elections. ”The prominent Iraqi cleric has reportedly made the comments in a Sunday meeting with the renowned political figure, Muqtada al-Sadr, in Iraq. 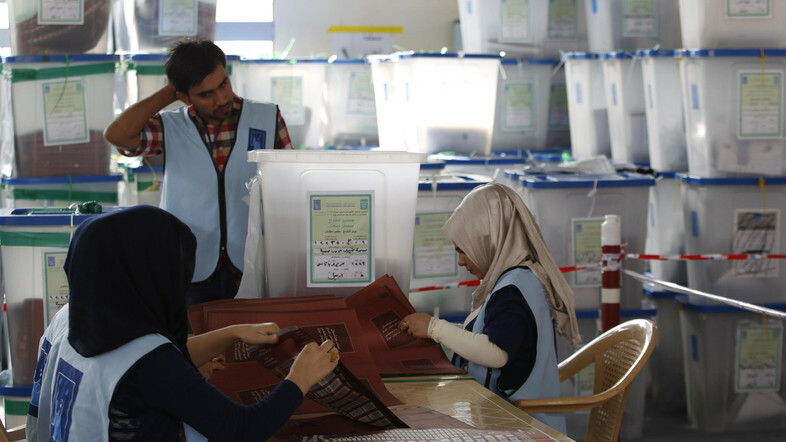 Iraq’s parliamentary elections are scheduled for April 30. The polls will elect the 328 members of the Council of Representatives who will in turn elect the Iraqi president and prime minister. Meanwhile, campaigning has begun for the upcoming elections, with Prime Minister Nouri al-Maliki seeking a third consecutive term in office. However, no single bloc is expected to win a majority of the seats in the Council of Representatives. This entry was posted in Middle East and tagged Ayat ullah Sistani, Iraqi Elections 2014, Shia Cleric. Bookmark the permalink. A great grand maraja never leans towards any political figure ,nor he indulges in politics which is often very dirty , how true to it is our AYATOLLAH Sistani , may Allah batasadduq chahardah Masoomeen (a s) keep him ever healthy and happy , always a becon of guidance over us .